: When I was around 14 years old, I saw his first movie, 'Love me Tender' I cried so much. : He was so georgous, yet seem such a tender person, and when he sang it was with so much feeling. "My Message to Elvis": I would like to thank him so much from the bottom of my heart, for the pleasure he has given so many of his fans over the years, with his songs and movies, and I would have also asked him to tour the UK, which is loyal fans have wanted him to do for many years. : The White Suit with the American Eagle, at the Satalite Concert in Hawaii, which was seen all over the world. : His Mother — Lisa Marie, His Music also was his love. : I was at home in the UK, I heard lots of Elvis numbers being played on the radio in the morning, and thought there was something wrong, my husband call out to me 'Elvis is dead'. I just went all cold, I could not believe the news, I sat and listened all day to the radio and watched the TV. I was devestated. I could not go to work for 3 or 4 days, I just cried, and for a long time after his death, I could not listen to any of his records, I just put them away, and treasured them to this day. : He attracts new fans every year because his is unique in every way, his voice, is music, he was such a versatile singer, he could sing Gospel,Country/Western,Love Songs, Rock & Roll, Ballards, and with such feeling, what other person in this century could entertain the world like Elvis could. He was admired and loved throughout the world. : I went to Graceland for the first time in November 2006 for my 60th Birthday, it was amazing, I stayed at the Heartbreak Hotel. TI was lucky enough to be at Graceland on the day after 'Thanks Giving' when 2 million blue and white lights lit up Graceland Boulevard, just opposite the Mansion, and Elvis drive to the Mansion, and 6 Christmas Trees in from of the Mansion, it was fantastic. My day at the Mansion was very emotional,I could not believe that I was really at Elvis Home, my dream was to have seen Elvis in Concert, but unfortuantely it was not to be, however, I could feel his presence when I entered the Mansion, and inside was absolutely beautiful. I had to prepare myself to visit the Memorial Garden where Elvis was laid to rest. I could not hold my tears back. I cannot wait to return to Graceland. I just loved him to bits. :: On my visit to Graceland,I met a few local people who were in their 70's who met and knew you. They told me that you were the easiest person to meet and talk to when you were in Memphis at your beautiful home, they also told me what a kind and generous person you were. They said that you never forgot 'your roots'. I really believe this, and know for this reason why you will be in the hearts of every true and loyal fan all over the world for ever. : I have been an Elvis Fan since I was a teenager. I was born 30.11.46. Born in India, moved to the UK 1949, went to school and brought up in the UK, Worked in the Hotel & Public relations, moved to South West France in 1989. I now have my own business specialising in Rental of Chateaux, for Corporate, Incentive Travel, Film Location, and organising Weddings. I have Elvis in my office 24/7 and he will be there for ever. 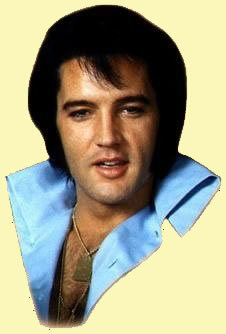 : Just keep his fans updated with everything concerning Elvis. Description of site contents: This site contains Elvis Presley biography information, history on Elvis Presley life story, Elvis Presley biography pictures and photos, Elvis Presley song lyrics, Elvis Presley movie resources, free e-books and articles listed for your convenient search in subjects of: Elvis Presley biography pictures and photos, Elvis Presley biography song lyrics, Elvis Presley biography movie resources, Elvis Presley childhood, Elvis Presley Band members biography, Elvis Presley biography girlfriends, Elvis Presley spiritual medium stories, Elvis Presley biography Memphis mafia stories, Elvis Presley biography diary quotes, Elvis Presley movie and music details in relation to the Elvis Presley autobiography and interviews of friends and family members for the Elvis Presley biography website written by a fan for his fans.